As you leave...not that you'd want to of course! 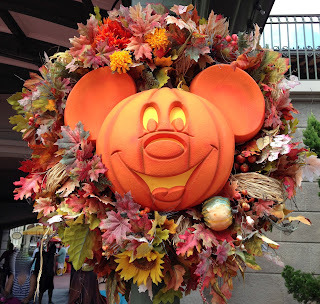 The decorations are subtle but add a nice touch all along Main Street. 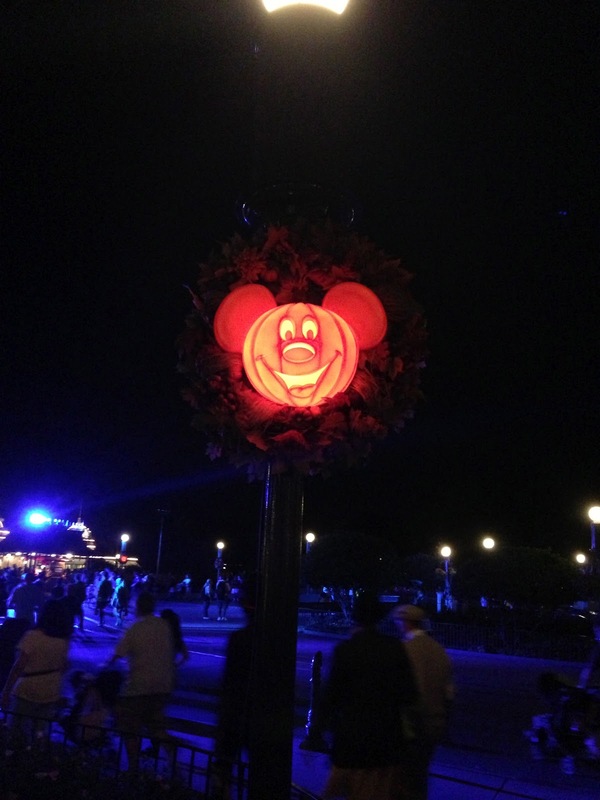 It's really cool at night when all the Mickey pumpkin heads on the posts are lit up. They actually go from a pale glow to really bright and then back to the pale glow again, kind of like a slow pulse. Gotta love the holidays at WDW!